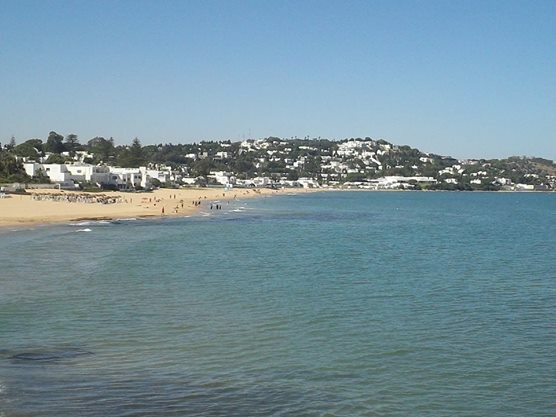 La Marsa is an upscale suburban coastal town in far north eastern Tunisia near the capital Tunis. In 2006, the population was estimated as 65,742. 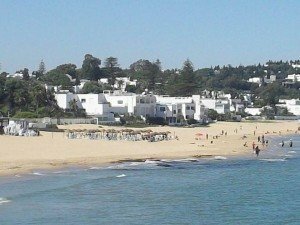 La Marsa, apart from being the most northern one of the sea side suburbs of Tunisia, is the old summer capital of pre-colonial Tunisia, and is today a popular vacation spot totally dominated by numerous affluent Tunisians and expats who enjoy the ambiance. 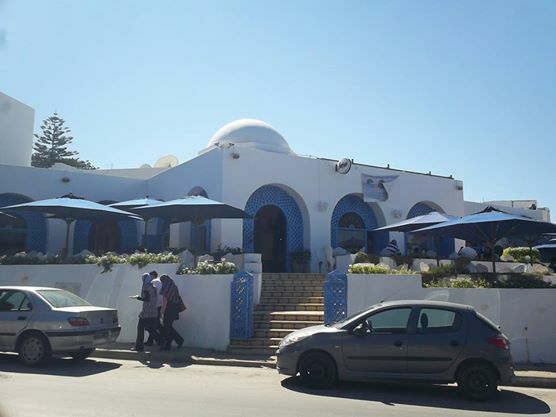 La Marsa, a bustling beach town, is the number one place for the higher middle class, when they go for a chic summer address. The reason for this is easy to understand when you’re down on the beach, looking up at all the nice white houses that lie among the green trees of the soft ridge running parallel to the wide beach. But the reality is that 95% of all summer houses in La Marsa have to be built in places that are seriously far away from the beach. 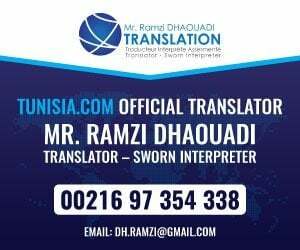 Many families escaping the summer heat of Tunis, end up in a street 5-6 kilometers away from both the beach and the small centre of La Marsa. 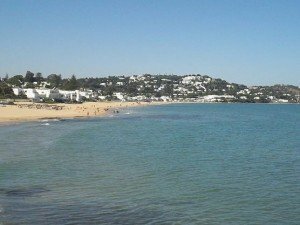 The prices of the best houses in La Marsa are reputedly insane, and even hiring is so expensive that the French Riviera becomes an economical alternative. And you will think that there are many rich people here, but how can there be so many of them? 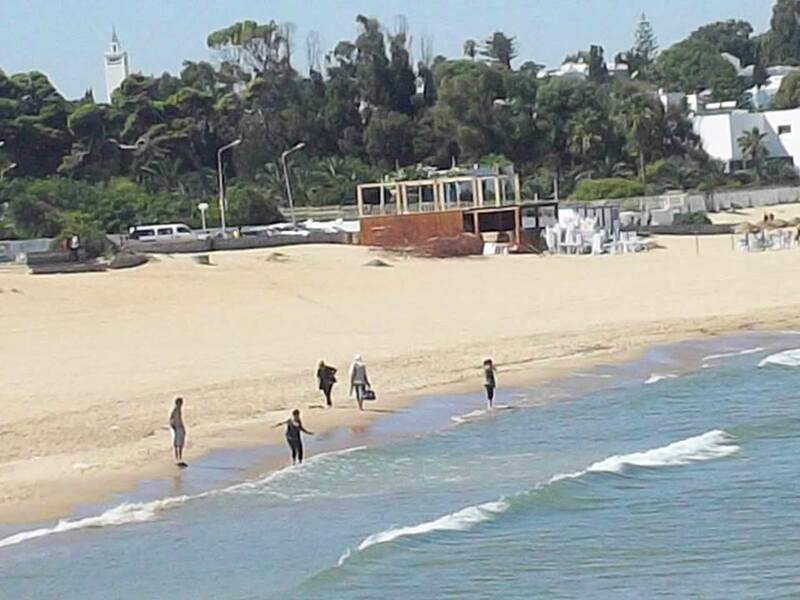 Most visitors will not get to see the large plantation of summer houses that starts at the other side of the bridge, as seen from the tram station, TGM, where you can take the tram through to ancient Carthage and Tunis. The small centre of La Marsa is packed with young Tunisians at weekends, and it is quite charming, but honestly, there is little to see. As for the beach, just cross the bridge, and go down for the beginning of the beach. 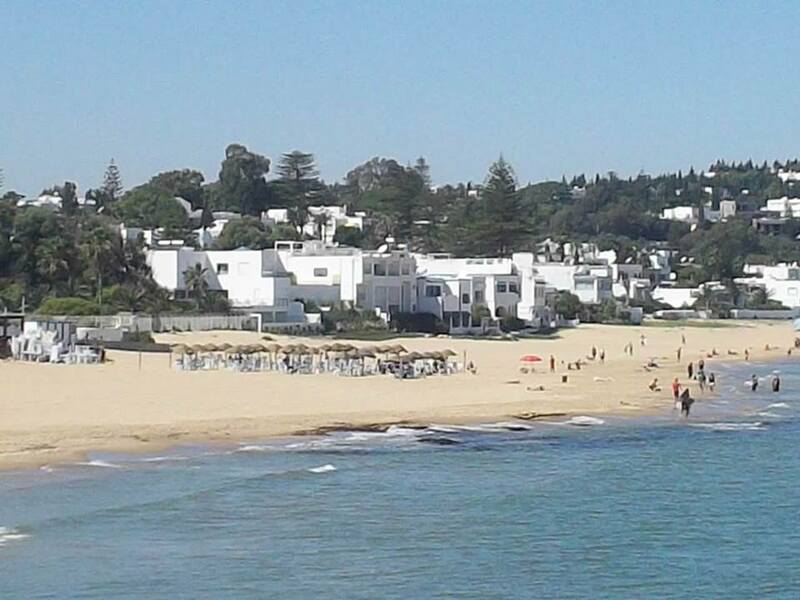 This section is far less visited, but walking through the sand to the chic parts, is quicker than walking the streets. 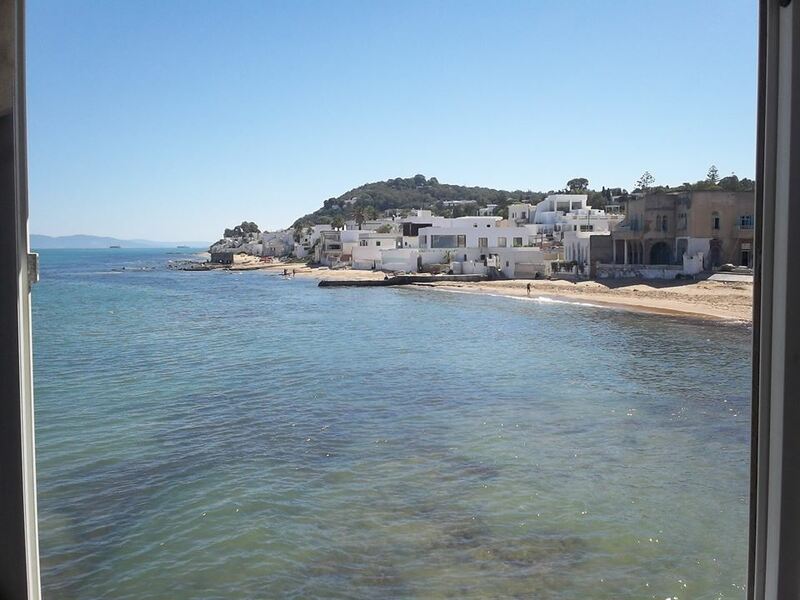 Built in the early sixteenth century by one of their last sovereign, Abu Abdallah Mohamed, Abdalliya Palace stands on the ancient port site of La Marsa. This princely residence reportedly served as a fortified summer residence but also as a place of refuge in the event of threat. In the nineteenth century it lodged Tunisian and foreign figures such as Bey Mahm?d (1814–1824) and his son Husayn Bey. Under the reign of Mustafa Bey and Ahmad Bey (1835–1855) it became a summer residence for Thomas Reade and Richard Wood, the consuls of England, but in mid-century was reclaimed by Muhammad Bey. 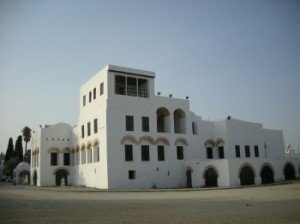 serves Al Abdalliya is the oldest evidence of Muslim architecture Palatine remained in good state of conservation of the Maghreb. 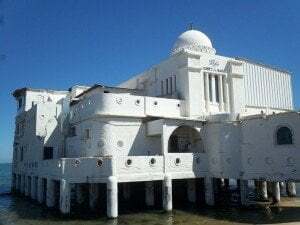 Despite the simplicity of the decoration, this monument has a special place in Tunisian architecture: it is the only palace that has come down to us from the Hafsid era. It testifies to Maghrebian and Andalusian influences. 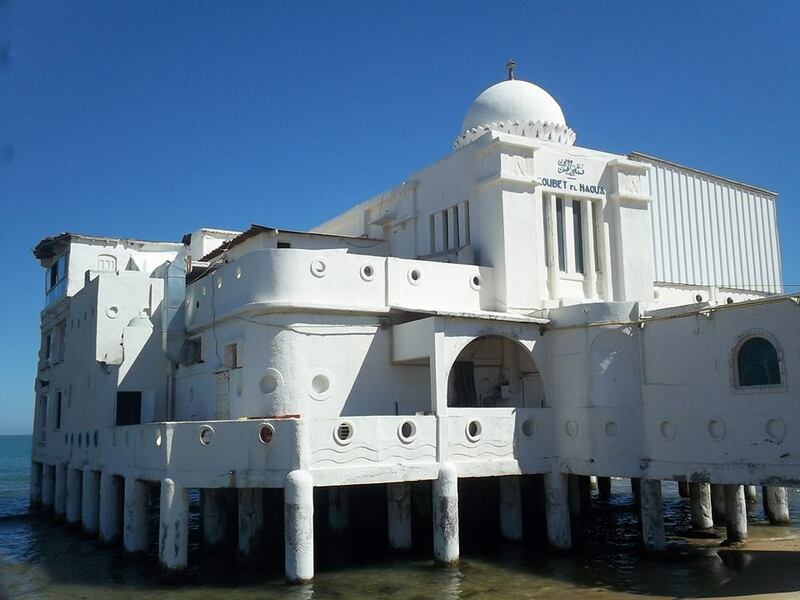 Some of its elements, mainly the pool and the Almohad type square tower, along with the green brick roofs, call to mind Moroccan houses from the Merinid and Saadian period. The plan of the palace was subsequently copied in other palaces belonging to Tunisian dignitaries (the palace of the Rose in Manouba) and pleasure houses in Tunis, albeit not in the same proportions (al-Oueslati burj at Gammarth). This was built by the Bey of Tunis in the late 19th century so that ladies of the court could bathe discreetly. Openings were built into the floor that allowed the women to get in and out of the water away from prying eyes. I had lunch in this restaurant and can thoroughly recommend it. 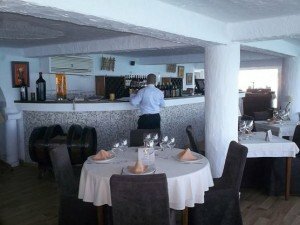 Food and service were faultless. 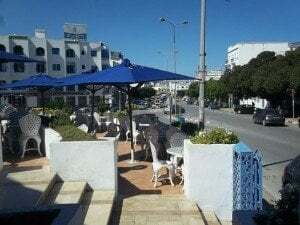 There are lots of excellent hotels, restaurants and bars in La Marsa as well as Cinema Alhambra for the movie goers amongst us. Cafe Saf-SAf is well worth a visit to enjoy a snack, Turkish coffee or some refreshing mint tea. The next town north of La Marsa is a wealthy place called Gammarth, famous for the five-star hotels, fine beaches, and the French war cemetery making La Marsa a good base for a Tunisian holiday.